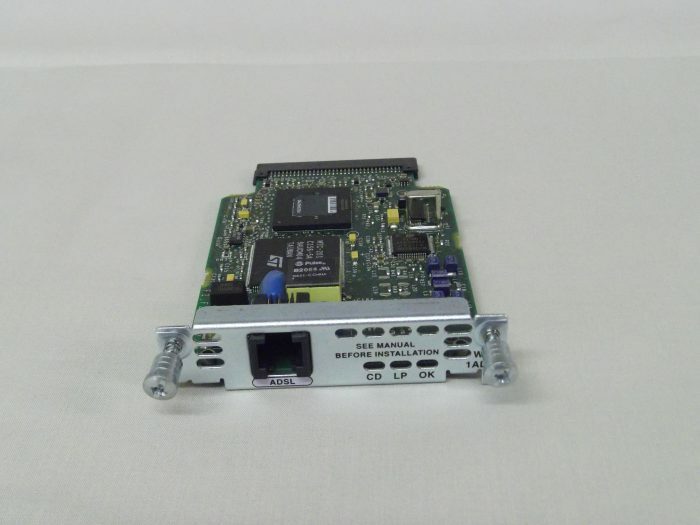 On Cisco 1700 series routers, the ADSL WAN interface card fits into a Cisco 1700 series router chassis. The card supports data and voice networks through the asynchronous transfer mode (ATM) protocol with the AAL5 format. ATM quality of service (QoS) for permanent virtual circuits (PVCs) is also supported.